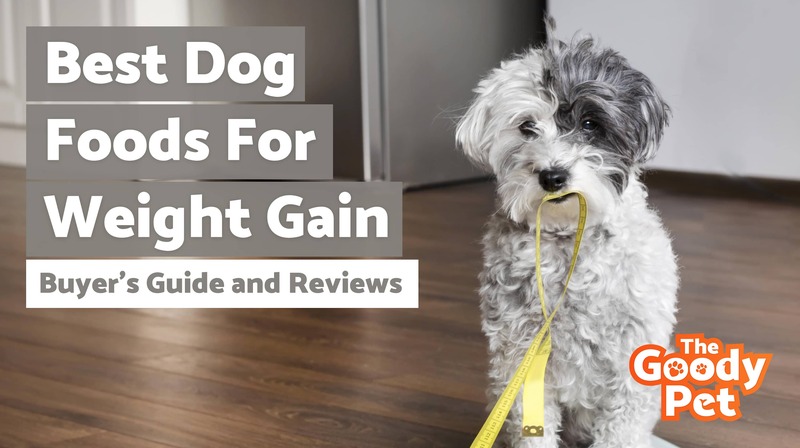 It can be difficult as a dog owner to know what dog foods are right for weight gain, especially since most dog foods are actually designed to control a dog's weight, rather than increasing it. Bringing a dog back up to a healthy weight can be a daunting task; since dogs may have a hard time consuming their meals at normal levels. The following products will make the process of sustainable bulking a smooth one that results in having a healthy and happy dog for years to come. Pay Attention To The Serving Sizes And Calories. If you're looking for dog food that can help your dog gain weight and gain more stamina, look no further than Bully Max High-Performance dog food. This product is a highly rated brand with 5 stars that includes a meat-based formula sure to help your dog create healthy eating habits. There are 535 calories in a single serving and is also packed full of protein and beneficial fats. One feature that really helps set this brand apart from the rest is that only natural ingredients are included as opposed to soy or wheat. Natural ingredients alone make this dog food worth the price advertised. This dog food is ideal for use as a long-term diet plan for larger dog breeds, as it ensures that they gain both a healthy amount of weight and muscle. Unlike other brands, this dog food is perfect for all breeds, even small Yorkies or chihuahuas. However, your dog must be at least 4 weeks old before consuming Bully Max. Bully Max’s all-natural ingredient list and unique formula cannot be matched, especially considering the 15 and 30-pound bag sizes offered by the brand. As opposed to filling your dog with useless calories and dangerous fats that stem from products such as corn, wheat, and soy, Bully Max’s high-performance premium dog food provides calories and helpful stamina stemming from its purely meat-based formula. Blue Buffalo is a well-established dog food brand who are known for their high-quality products that can meet the special needs of pets. This particular dog food allows you to both save money and also make sure your dog gains a substantial, yet steady amount of weight. All the essential protein is included in this product's recipe along with healthy fruits and vegetables that contain antioxidants, an important part of a healthy diet. The bag sizes available for this product are 4 pounds and 22 pounds, giving you the option of a short or long-term investment with each purchase. Another benefit is that no chicken meal is included within the recipe and formula, as well as any preservatives or artificial flavor additives. If you are looking for a quick way to help your dog gain weight on a budget, this is your best bet. It is important to consider its meat-based formula that includes bison, an ingredient whose quality is unmatched in this price range. All-natural ingredients are usually found in higher price ranges, so this product is a great value. Crave is one of the best dog food brands if you are looking for dry products to help your dog of any breed gain weight, especially if they prefer seafood. The recipe and formula for Crave slightly differ from the other brands, as it contains salmon as its main ingredient. The salmon used is authentic and is a fantastic source of protein for your dog. It is also safe to say that your dog's overall well-being and activeness level will increase due to the healthy carbohydrates that can be used as an energy source. This dog food is simple, yet has many ingredients to help your dog attain a more fit and healthy lifestyle. The salmon-based formula is unique, which helps this brand of dog food stand out. The high protein stemming from its stand-out formula is also another bonus, ensuring that your dog will gain much-needed weight and muscle, no matter the size or breed. Purina Pro Plan SPORT is a special dry dog food that can help your dog pack on weight in a healthy way. The sport-inspired formula is ideal for most dog breeds, especially for dogs that compete in competitions or are more active. The main ingredient in this dog food is real chicken. There is an astounding amount of protein and fat that specifically caters to your dog's metabolic needs and muscle retaining abilities. This dog food includes multiple health-based additives, such as essential amino acids that help prevent your dog's muscles from cramping or aching during much-needed exercise and fitness periods. That way, whether it be training for a competition or a simple stroll through the park, your dog is covered. The ingredient that makes this dog food stand out is its amino acids. They can help your dog grow at a healthy rate, which is just one reason we highly recommend this product. The amount of protein is balanced with a healthy amount of fat, ensuring that your dog will not gain too much of either. Considering that there is also a helpful amount of both EPA and glucosamine that can both help promote better joint health, this dog food can be great for older dogs who need bulking up. Although it is one of the most common dog food brands, Purina's ONE Smartblend is another effective way to help your dog reach a healthy weight. Helpful vitamins and minerals are included with every serving. This, paired with its use of real chicken as the number one ingredient makes it a premium choice. If your dog prefers other flavors, this product is also available with 100% real beef. Smartblend contains 30% of protein and is formulated entirely without grain, although there are some sources of potato-source ingredients as the leading vegetable in the formula. Thankfully, no corn, wheat or harmful soy products are included in the recipe. Although the formula and recipe for Smartblend appear simple, the product can still help your dog in a variety of ways. This dog food has all of the basics your dog needs for both gaining and maintaining a healthy weight in relation to its size. From simple vitamins and minerals to a high protein count, this dog food provides a great start in improving your dog’s overall well-being and bulking up. While other dog food brands advertise their products toward dogs of different ages and breeds, Eukanuba Premium Active Adult Dog Food is clearly only for adult dogs. This is not a dog food suitable for puppies; however, it can be very effective to bulk up your adult canine. Not only is Eukanuba perfect for adult dogs who need to gain weight and overall muscle mass, but it is also effective for adult dogs that are constantly training or working. There is a high amount of both protein and fat that helps to promote sustained muscle growth and prevent muscle issues later on in life. This dry dog food is a great start to help your dog get to maintain a well-balanced diet that is packed with healthy nutrients. The bottom line is that Eukanuba Premium Active Adult Dog food is a great selection, especially if you have a show dog or a dog that demands a lot of exercise. We highly recommend this product both for its strength and unique dental cleaning abilities. It is important to note that this dog food should only be given to Adult dogs. Looking for a way to help engage your dog's natural carnivorous instincts and to help them gain and maintain a healthy weight for their size? Taste of the Wild grain-free premium dog food has you covered. With premium and nutritional ingredients such as simple fruits and vegetables, Taste of the Wild is packed with hard-working antioxidants. The ingredients used are sourced from reliable locations, and no artificial flavors are added due to the flavor-packed recipe and formula. No eggs or egg products are included in the recipe, which makes it ideal for dogs who have specific allergies or sensitivities. If you have a dog with a sensitive stomach, then this is the perfect dog food that will allow them to bulk up. Taste of the Wild is ideal for dogs who may have sensitive food allergies or trouble digesting their food, especially dry food. We recommend this product, as its natural and homegrown ingredients are an excellent addition to your dog’s diet. Buying the best food for your dog can already be a challenge. If your dog needs to gain weight, it can be even more difficult. There are a variety of methods and foods that can be used to help your dog gain weight safely and in a timely manner. It is extremely important that you work alongside your veterinarian when choosing to help your dog gain weight. A dog that is underweight needs to be examined to check if there are any underlying health issues that are the root cause. Dogs that are underweight could be suffering from diabetes, dental problems, thyroid irregularities or worse. Only after getting screened from a licensed professional should you start altering your dog's diet to help reach a healthy weight. Your veterinarian may also recommend a specific meal plan or dog food brand that is tailor-made for your specific pet, so make sure to consult a professional so that your dog's needs can be met in the best way possible. You can use the products on this guide to show your veterinarian and see if they might be good for your dog's specific situation. Most if not all of the brands on this list are products of good quality and so it is likely that they will be approved for use with your pet, however, it is still advised that you ask just in case. Weight gain in dogs is a gradual process. It is imperative that you take the time and effort necessary to build your pet back up to a healthy weight without creating other problems that will affect it down the line. In order to feed a malnourished dog safely, a change in feeding habits is required. Some recommended techniques involve feeding your dog more often or letting the dog eat on their own schedule with the owner refilling the food bowl as needed. Perhaps use higher calorie treats, which can be a valuable addition to a higher-calorie diet. Not only can reading the ingredients list inform you of what you are considering purchasing, but it can also prevent potential incidents or mishaps. While all of the food and brands listed here are healthy and effective, it is important to be cautious. Read or the list of ingredients and make sure there are no ingredients such as eggs that may be common allergic ingredients for dogs. The ingredients list can demonstrate how nutritious the food is and what functions it can improve. Calorie counting is an important part of effective weight gain. While you may count calories to lose or gain weight, this can also be an essential step in helping your dog as well. This process can be difficult at first, especially if you take into account your dog's metabolic levels (it is best to receive this information from a trusted veterinarian). If your dog does actually need to gain more weight, it is best to select a high-calorie dog food with a higher fat percentage. An added supply of protein is not required but can be beneficial, especially for dogs of smaller breeds. Instead of looking at the suggested or totaled calorie amount for an entire bag (whether it be 20 pounds or a smaller, 4-pound bag), start to look at the servings and suggested cup sizes. Cup size information can be found on the back of the bag where other listed ingredients are found. 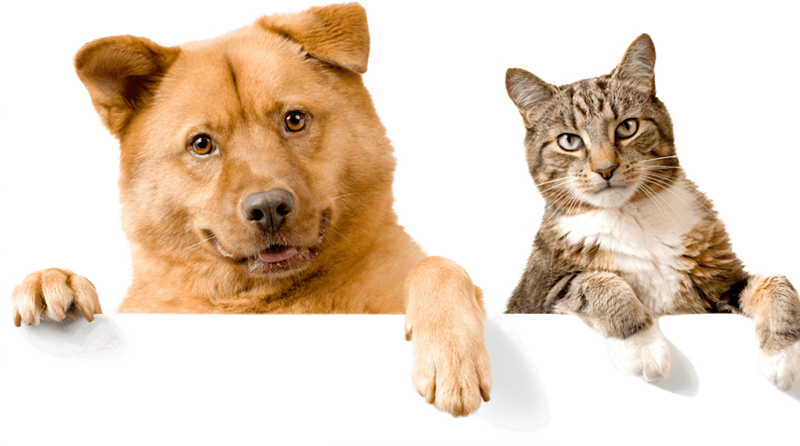 If you would like a more precise amount, assessing information from reputable internet sources and your personal veterinarian is a great option. Calorie counts and serving amounts are other important factors to review when making your purchasing decision. If you want to bulk up your canine, you have to be extremely precise with the food that you give to it. Even though there are several dog food brands that supply protein and help your dog gain weight, BullyMax remains the best compared to other popular, more widely available brands you may come across in other places. Bullymax has a impeccable rating and many satisfied customers who have seen real results. The all-natural ingredient list paired with the entirely meat-based formula is worth the premium price. However, most of the products on this list are viable alternatives and can be more suitable for your budget or preferred meat of choice. These dog foods can help your dog become more active and attain a healthy weight through bulking up.